1. BeonPush Scam - Is it true? 2. Should I invest in BeonPush? 4. How much can I earn with BeonPush? 5. Is it a Ponzi, Really? 6. Does Beonpush has any referral program? 7. From where canI get BeonPush Sponsor? 8. How can I create account and Invest? 9. What are the payment processors and minimum payout? This post is updated Weekly to have latest stats and Updates. You should bookmark this page and keep reading regularly. BeonPush has stopped paying to Payeer users! I got some complaints from users that their support system is not replying to users queries. 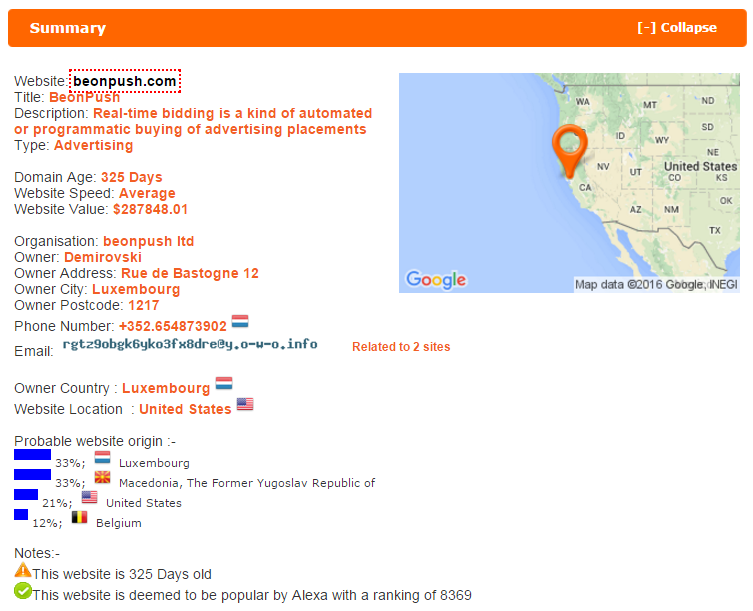 If you search "BeonPush Scam" on the internet then you will get lots of negative review about this site. To be honest most of those reviews are based on assumptions not real at all. Before writing this review I contacted many participants of BeonPush and all said that BeonPush is paying fine. So, it is paying fine now but will it pay in the future or for a long term? Nobody knows this. Some people call BeonPush as Ponzi scheme and some call it as HYIP. Ponzi and HYIP are co-related terms. An HYIP (high yield investment program) is a type of Ponzi scheme or an investment that promises an unsustainable high return on the investment by paying previous investors with the money invested by new investors. But according to some Expert Investors whom I talked about this program told me that this site is based on Real Time Bidding system (RTB) on Advertisements. RTB means by which advertising inventory is bought and sold on a per-impression basis, via programmatic instantaneous auction, similar to financial markets. If you have enough money and by losing that money will not cause any effect on your financial position then you can invest. To be honest, Investing money in BeonPush might be risky. No, you should Never Invest in BeonPush. BeonPush claims that it offers private members the opportunity to invest in real-time bidding and other high-profit business processes. But there is nothing like that. They simply sell Ad packs starting from $20 and ends at $5000. These Ad packs give buyer opportunity to earn profits and 1 URL to advertise. They pay daily profits on your investment until it reaches up to 150%. As I already said, BeonPush pays daily average profits of 1% - 1.5% until it reaches 150% of your investment. Means, you will get the profit of 50% on your investments and then after your pack will expire. If you want to continue then you will have to buy the packs again. You can buy any number of packs. It is not real Ponzi at all. It can be called as Rev-Share program. Rev-Share programs are those programs which pay their clients based on a pre-determined percentage for referring prospects who convert into clients. BeonPush has a referral program and it pays up to two levels. 2nd Level referrals: 2% commissions. Residual commissions in BeOnPush are paid out via a binary compensation structure. Investment amount is tracked between both sides of the binary and 10% commission payout on investment volume. To participate in their referral program, you must have to invest at least $20. Only after investing this minimum amount you will get referral commissions. 7. What are the payment processors and minimum payout? Click here to Create Account in Payeer. Minimum Payout: $2 only (3% fee on withdrawals). 8. From where can I get BeonPush Sponsor? It is true that you can not register in BeonPush without the sponsor. In simple, you can not participate in this program directly by visiting their homepage. If you try then it will ask you to go and find your sponsor first. To Join, you must have a sponsor link. And In this post, I am also adding a sponsor link that will help you in Signing up your account. 9. How can I create account and Invest? A.) Click above link to Sign Up and then Login to your account. It will show a Dashboard like this. B.) Now Navigate to "E-WALLET" option and select your Payment processor which you want to use. In these screenshots, I have used Payeer because I use Bitcoin and Perfect Money. C.) After clicking on the Payment processor enter the amount you want to Invest in BeonPush. I have put $20 you can see in the below image. Remember do not get confused in their Commas (,), and full stop (.). They use Comma for the full stop. In this image, it looks like minimum amount to invest $2,00 but in actual it is $2. D.) After adding funds into your Wallet. Navigate to "PACKS" and select the pack in which you want to Invest. E.) Select you pack and Click on Buy button. You have done. Now your Investment is Active. I Invested $20 at first then I invested $500. After that they made my balance ZERO and told me that my balance has been converted in points. Then after few days, they suspended (BAN) my account. So, they are just making fool investors. So you should never Invest with BEonPush. If you really want to Invest somewhere which is trusted and paying then go for Merchant Shares Only. As I am a blogger and I do not participate a lot in such kind of sites but still I have participated in Merchant Shares and getting being paid for a long time. Recently, I have taken the Interview of one of their staff members and he replied every question and doubts. You can check the Merchant shares interview here. Join Merchant Shares Now (My Favorite)! After reading the post you can take your decisions easily. I would like to say here if you are the person and looking for some genuine sites to invest online then you should not miss Merchant Shares at all. Message: I hope that you have enjoyed 'BeonPush Review: Is it SCAM Really? [I Lost $500]' article on Tips2secure. However, if you want me to deliver more items, then please share my post. You can use Social Sharing Widget provided at the end of every post. After all, Sharing is Caring! They have stopped paying their Payeer users.